Doggerland, sometimes called the Stone Age Atlantis of Britain or the prehistoric Garden of Eden, is an area archaeologists have been waiting to rediscover. Finally, modern technology has reached a level in which their dreams may become a reality. 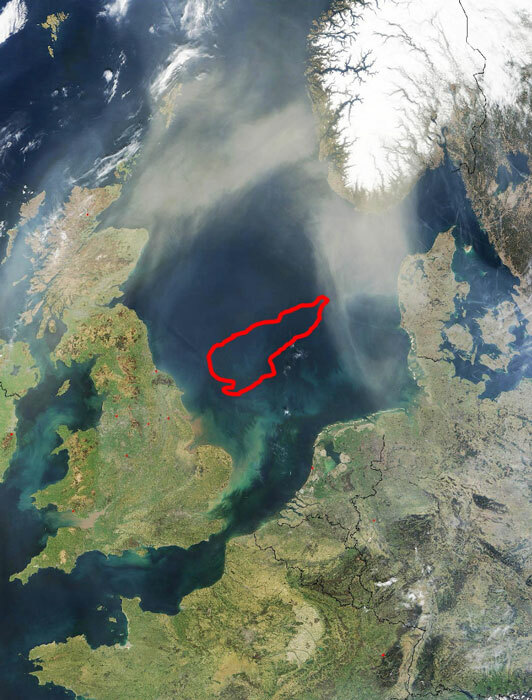 Doggerland is thought to have been first inhabited around 10,000 BC, and innovative technology is expected to aid a new study in glimpsing what life was like for the prehistoric humans living in the region before the catastrophic floods covered the territory sometime between 8000 – 6000 BC. The latest research was made by a group of archeologists and volunteers led by a team from Archaeological Research Services Ltd, which previously performed some other projects related to the Northumberland. The works were possible due to the lower level of water. The major excavations involved a total of 700 people and uncovered part of an Iron Age site dating from around 300 BC near the Druidge Bay. The remains of the forest of Doggerland do not belong to the oldest known forest. The oldest fossilized forest was discovered by a team from the Binghamton University in the town of Gilboa in upstate New York. The Gilboa area has been known as a tree fossil location since the late 19th century. However, the first researchers arrived there in the 1920s. The most recent research started in 2004, when Linda VanAller Hernick, paleontology collection manager, and Frank Mannolini, paleontology collection technician, uncovered more intact specimens. According to the article published in 2012 by William Stein, associate professor of biological sciences at Binghamton, the fossils discovered in this area are between 370 to 380 million years old.